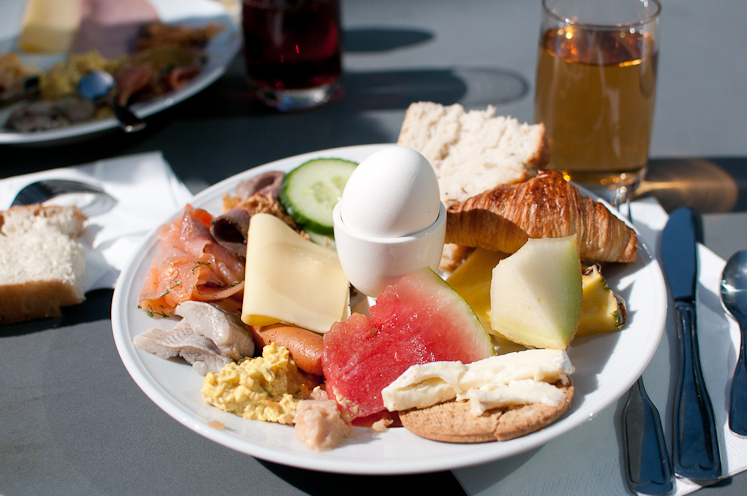 I söndags upprepade vi förra vårens succésöndag och promenerade på stranden i Skanör, åt fantastisk brunchbuffé på Falsterbo strandbad och solade på stranden nedanför. I år var det fantastiskt väder och jag doppade till och med tårna i (det iskalla) vattnet. 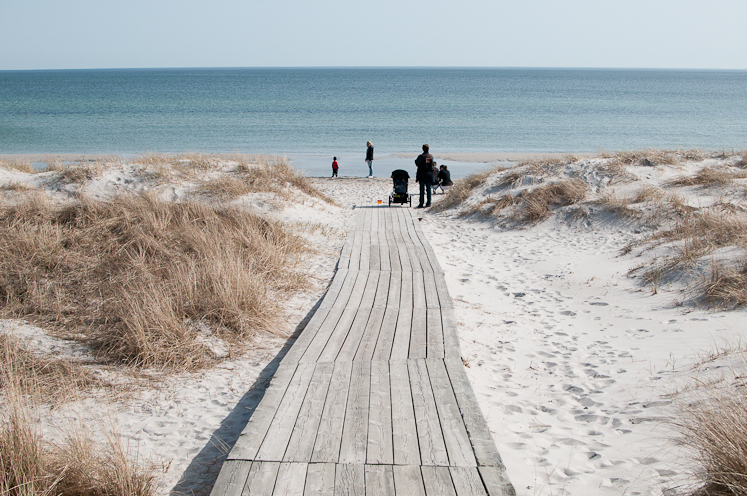 On Sunday we repeated last spring's success and we walked along the water in Skanör, had a fantastic brunch buffet at Falsterbo strandbad and spent the afternoon in the sun at the beach below. 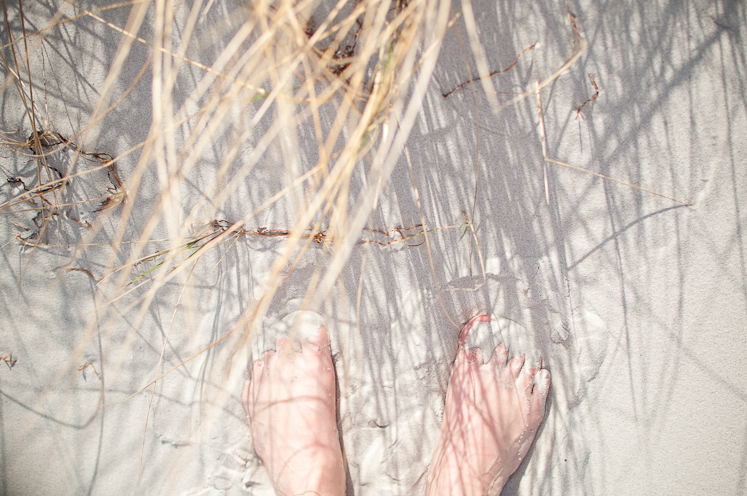 This year the weather was incredible and I even dipped my toes in the (freezing) water. Stunning photos, as always. You always make the everyday things look special somehow. Very lovely. It all looks so wonderful in your pictures :) Brunch too, yum! Ooo, these photos are so beautiful :)))! ser ut som sommar! fint! The beach looks gorgeous and inviting, even knowing that water is cold! 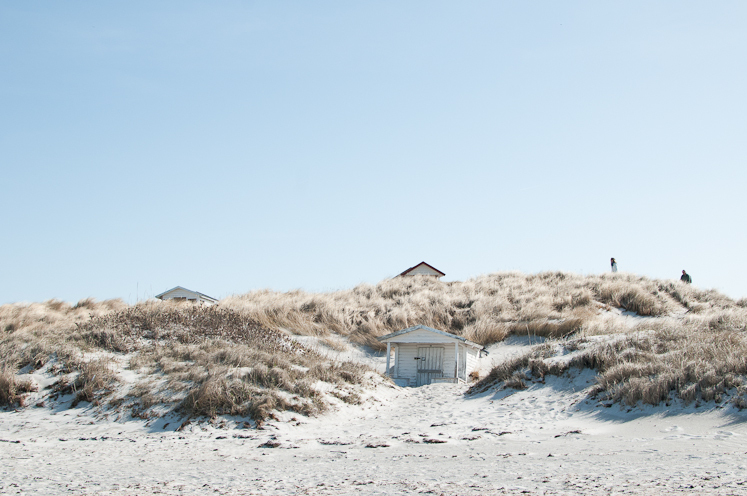 I love the huts and the grass in the dunes. And the wooden walkway! All I can say is am very hungry looking at that plateful of food. Feet in the white cool sand sounds like a good idea! Wow that beach looks stunning! And the food looks yummy too! Gorgeous photos! ah so stunning. looks idyllic. i'd love to go back to sweden, we found the most beautiful deserted lake beaches that my husband still talks about. i wish i could go on vacation. now. Wow the first photo is gorgeous, wish I could be there !! Thank you for transporting us to this lovely beach through your photos! 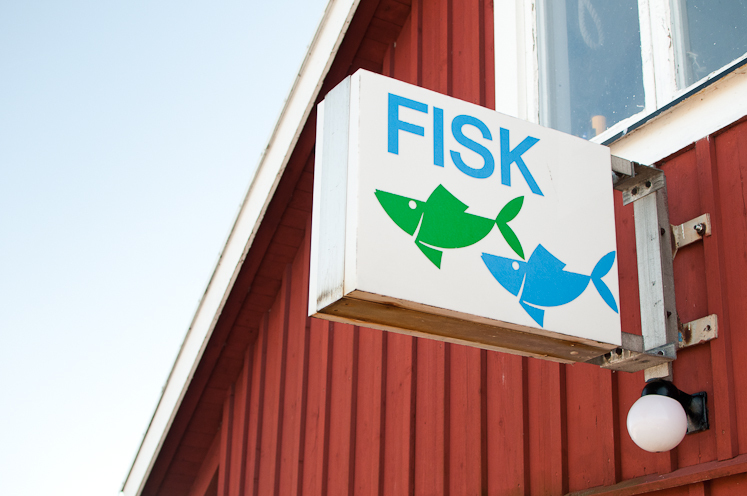 Really love that Fisk sign too.